Let’s get you in on a secret: The jingling you’re hearing when you play the new seasonal slot game released by the software provider, NetEnt is not just traditional carols. It’s the jingling of lots of coins in your back pocket, thanks to the super rewards potential in this game. In NetEnt’s new Jingle Spin slot game that was released on November 29th, you begin the countdown to Christmas with a title that encapsulates the very best of the season. The fun, 5 reel, 3 row and 20 fixed pay line Jingle Spins boasts a quirky looking Santa and his band of little helpers. You’re whisked straight to the holiday mood with feel-good graphics and a toe-tapping soundtrack that will have you singing along. A few months ago, NetEnt went public with the news that it would be releasing a Christmas themed slot game at the end of November, and the group has kept its word. The result is a game that full to the brim with Christmas cheer and graphics that spread the joy from your first spin. 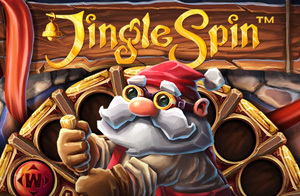 Your main mission in Jingle Spins slot is to collect baubles and unlock a series of festive features. Bonus features include a free spin mode with the chance to retrigger free games indefinitely! “Players love to play our themed games throughout the year – they are always popular around important calendar events as well as a good time afterwards – who doesn’t want that Christmas feeling in June?” noted Bryan Upton, NetEnt’s Director of Game Products. NetEnt already has an excellent number of Christmas-themed slot games in its ever-growing portfolio, including Secrets of Christmas slot, Flowers: Christmas Edition slot and Fruit Shop: Christmas edition slot. 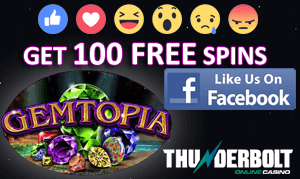 Players can try out these titles all year round, although there is something very special about playing a Christmas-themed slot game in December.